Sowing Craspedia Seeds In Modules. Craspedia looking like I grew them in an aquarium. I was pottering around what was left of the Higgledy Garden yesterday now that the flood waters have receded and was rather delighted to find that my old chum Craspedia had survived the storms and the deluge. I only had a few plants…in fact I had grown them as annuals as they flower well in the first year but it seems like they want to hang around….and they are most welcome. 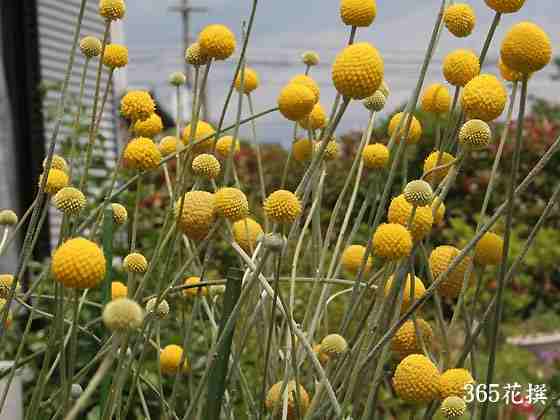 ” I’m trying craspedia globosa for the first time and it’s been interesting. The seeds are kinda strange-looking to start with, all covered with light-colored fuzz. And when they soak up some water, they expand a bit and the fuzz swells until it looks more like tiny quills than fuzz. 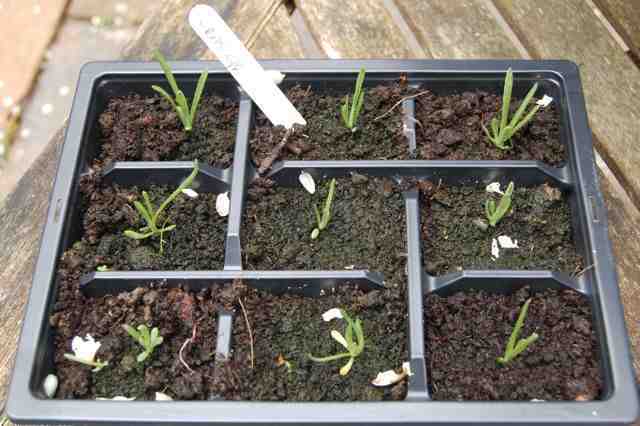 Germination brings more strangeness, at least in some cases. A number of the sprouts appear to have confused roots; instead of driving their tip downward through the planting mix, the leaves are hoisted upward, with the root growing on the wrong end and getting longer and longer above the surface. At least that’s what it looks like to me. ” Tom. California. I have spoken to many flower growing types and it seems very rare that they give Craspedia a go in the UK. I think they should…it’s not tricky to grow at all. 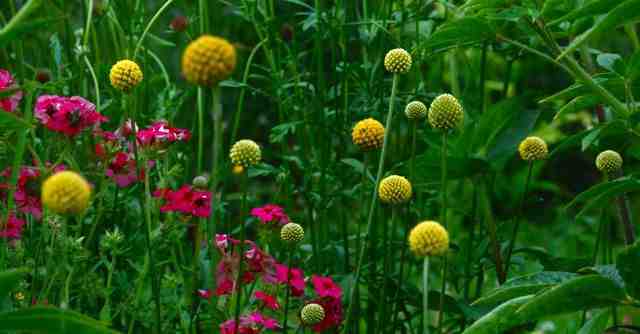 Tips For Growing Craspedia In The UK. *Start your seeds off in April in modules or pots, inside. *Hardly cover the seed at all with your seed compost or sow it on the surface as Craspedia seeds need a little light to germinate. *After a couple of weeks the seedlings will appear…let them do their stuff….they know what to do…but don’t let the pots dry out. My Craspedia Happily Survived The Floods. 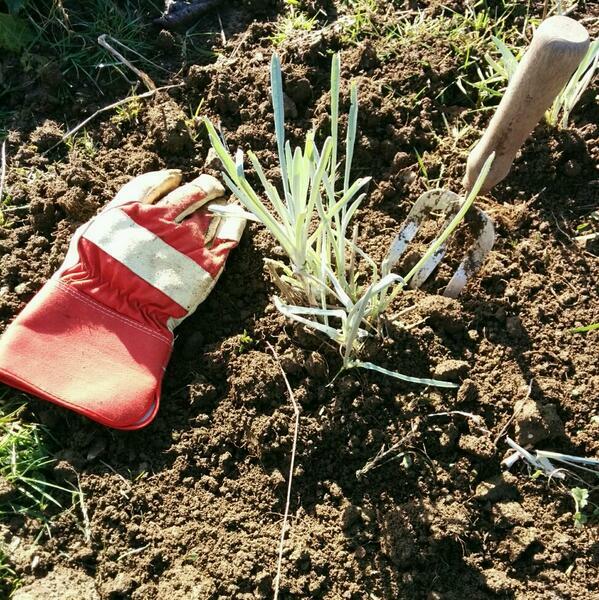 *When the frosts are over you can harden your plants off in order to plant them outside…I spaced mine to a foot apart last year which I think was too far…half that would be fine. I have Craspedia in the seed shop at £2.25 for 100ish seeds. 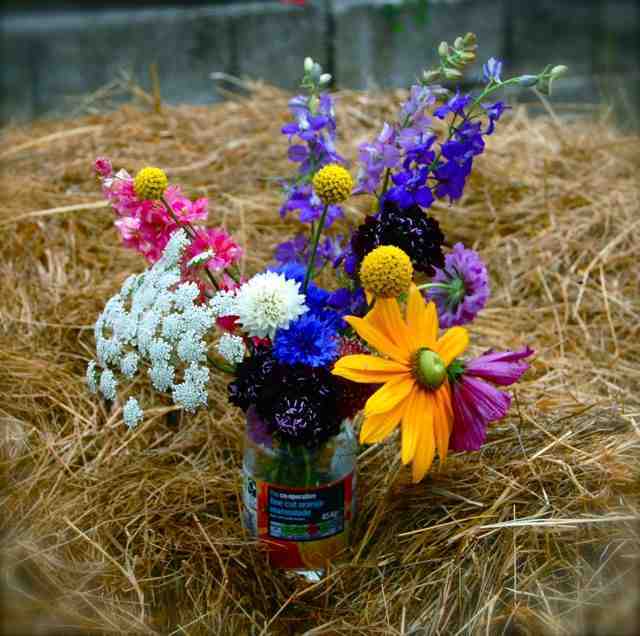 Craspedia flowers placed into a jar with the care and grace only offered by a ageing laboratory gorilla. Similar criteria are in play with historic formed concrete structures.